Point Ruston is the Tacoma Waterfront's premier walkable neighborhood. 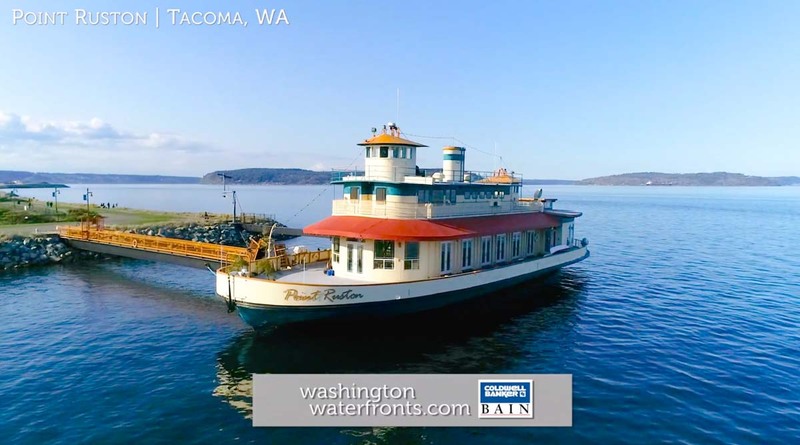 Currently featuring two condominium buildings, Century Condominiums and Copperline Condominiums, Point Ruston condominiums for sale feature the most breathtaking water views in the South Puget Sound. Point Ruston's first condominium building, the Copperline, features floor to ceiling windows that drench the waterfront condos with natural light. Each of these waterfront homes includes secure parking, kayak storage, and access to a comprehensive woodshop. Point Ruston's second condominium building, the Century, is also situated along Point Ruston's waterfront trail system, named the Waterwalk. These waterfront condominiums are part of a fully mixed-use building that includes a luxury nine-screen movie theater, three restaurants, several retail shops, and is within walking distance to Point Ruston's premier waterfront attraction, the Grand Plaza sprayground. Point Ruston's third condominium building, the Baker Condominiums, has just recently been released for pre-sale. Please follow the following link to learn more about the Baker Condominiums! Take advantage of our industry-leading tools to make your property search as easy as possible and be sure to register for a FREE account so that you can receive email alerts whenever new Point Ruston waterfront real estate for sale hits the market. If you're seeking to sell your Point Ruston waterfront property, contact our Waterfront Specialists directly for a comprehensive listing analysis and to learn more about the cutting-edge marketing strategies we'll use to sell your home quickly for top dollar!